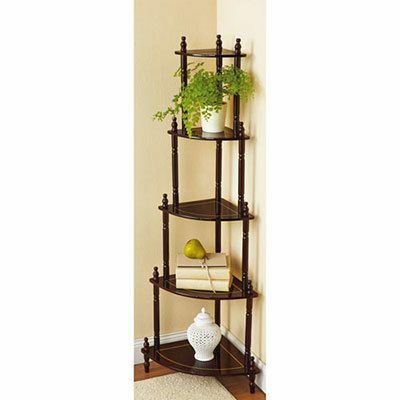 Dress up any corner with this handsome space saving 5 Tier Corner Shelf. Multi-tiered design creates plenty of storage and display space. Cherry-finished solid hardwood legs and MDF shelves with rich golden accents. Assembly required. 14½"w, 20"d, 47¾"h.
Express Shipping and Gift Wrapping not available. Hurry! Quantities are limited!